NCAA Women’s Golf | Complete coverage of NCAA Division I Women’s College Golf from NCAA.com, the official site of the NCAA. NCAA Men’s Golf | Complete coverage of NCAA Division I Men’s College Golf from NCAA.com, the official site of the NCAA. 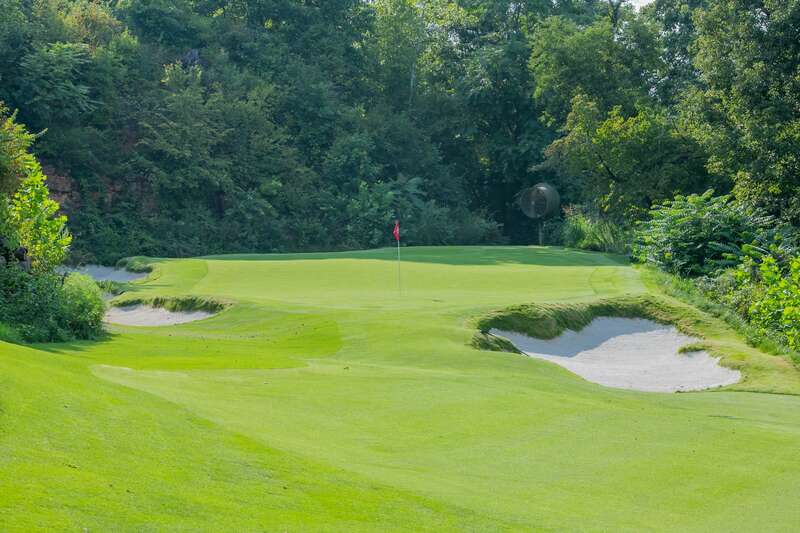 Blessings Golf Club was developed with the vision of being a club of comfort to its members and their guests by providing a superior golfing experience designed to test championship golfers on every shot. The Club is located in Johnson, Arkansas, and is the home to the University of Arkansas Men’s and Women’s Golf Teams. 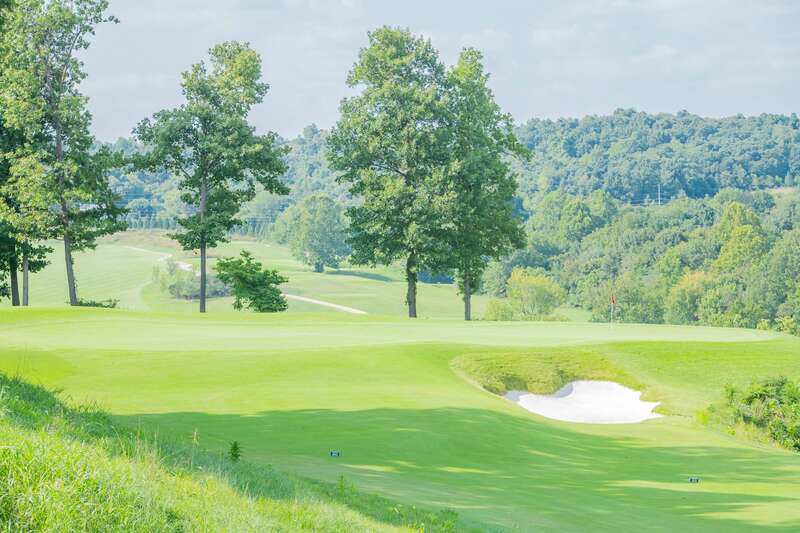 The impeccably maintained course stretches to over 7,900 yards from the back tees and plays through two distinct landforms-the Clear Creek floodplain and a plateau that rises to 65 feet above the floodplain where it’s bisected by a series of ravines. Both the outward and inward nines climb up and down between the two topographies, creating drama and variety on each hole. The course was originally designed by architect Robert Trent Jones, Jr. with a redesign recently completed by noted architect Kyle Phillips. The extensive practice areas are unrivaled and provide both indoor and outdoor facilities. The Indoor Short Game Practice and Fitness Facility includes a 9,000 square foot short game practice area with a 3,000 square foot putting and chipping green designed by Dave Pelz. The facility also provides a state-of-the-art 2,000 square foot fitness facility. The Razorback Center houses five indoor hitting bays and one private teaching bay with video analysis equipment. The building also includes locker facilities and a break room for the University of Arkansas golf teams. The outdoor practice areas feature a range with multiple teeing areas and numerous range targets to allow realistic practice sessions. The short game facilities include several bentgrass putting and short game greens as well as a bermudagrass green. A separate three-acre short game practice area has also been added which features practice greens that are 4,500 and 16,000 square feet in size, practice bunkers and a putting green. The clubhouse, a Marlon Blackwell design, has won numerous awards including recognition by Architectural Digest as one of the top golf clubhouses in the world. Amenities include a well-appointed golf shop, locker facilities, multiple dining venues and a pool. The course contact is Richard Cromwell, CCM, PGA, General Manager/COO; and Justin Sellin, PGA, Head Golf Professional.